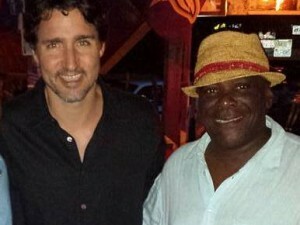 BASSETERRE, ST. KITTS, May 30, 2018 (PLP PR Media Inc.) — Saturday June 2 is the appointed day for the next Peoples Labour Party/Prime Minister’s Health Walk according to PLP’s National Chairman Mr Warren Thompson. According to Mr Thompson the walk will start at 5:00 am from the Belle Vue bus stop and will end at the Ottley’s Hard Court. The health walk has been attracting a huge following and Mr Thompson is encouraging the regulars to be ready for it, and to invite a friend. A healthy light breakfast will be served at the end of the walk. 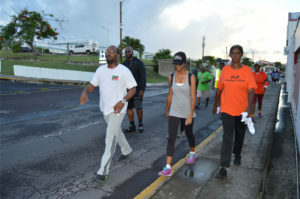 “Prime Minister Harris, who is also the National Political Leader of the Peoples Labour Party, has been holding these walks for now over ten years and more and more people are responding positively to his efforts in his noble fight against the scourge of non-communicable diseases (NCDs) that are lifestyle related problems,” explained Mr Thompson. 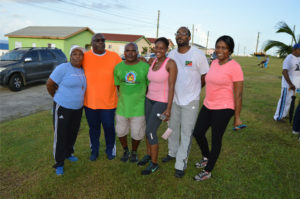 “After our people realised that the health walk brought some tangible health benefits, the number of participants increased tremendously, and we as party (the Peoples Labour Party) felt it was in order to embrace everyone in the country and hence the reason we made it a national event last year,” stated Mr Thompson.